TED talks have become a global phenomenon. They started in 1984 with an early focus on technology and design, which reflected their Silicon Valley roots. They have since expanded to include talks on many subjects, including scientific, cultural, self-help and academic topics. Each year TED holds its main conference in Vancouver, Canada with over 8,000 people in attendance. As of 2018, over 2,600 TED talks have been viewed over 500 million times. Would you like to give a TED talk that gets viewed millions of times? TEDx organizations are authorized, independent groups. TEDx events are TED-like events held all over the world. They are smaller than TED conferences and are run by volunteers. They range from small events in classrooms to larger events in concert halls and auditoriums. As of October 2017, the TEDx archive surpassed 100,000 talks. Would you like your talk to be one of them? As a two-time TEDx speaker, I know first-hand what it takes to be chosen to give a TEDx talk. I have also learned, from my own experience, what it takes craft and deliver a successful TEDx talk. My talk at TEDx San Antonio, Texas, in front of 500 people, was one of the most challenging and rewarding speaking experiences of my life. In 2014, I moved to Tucson and got connected with the TEDx Tucson group. I volunteered to be their speaker coach. I also wanted to learn, from the inside of a TEDx community, what was going on. And, most importantly, I wanted to help the speakers give the best speech of their lives. 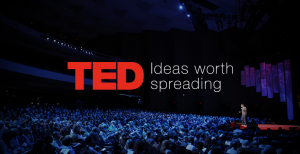 TED and TEDx are all about your Idea Worth Spreading. That’s the main criteria. It’s not about amazing platform skills or speaking ability. In fact, most of the people chosen to give a TED or TEDx talk are simply people with a passion for an idea. If you are reading this page, you probably want to give a TED talk but don’t know how to apply or get chosen. I can help you with that. I have insider knowledge that will help you understand the process. Or, perhaps you’ve already been chosen for a TED or TEDx conference and want to make sure you give the speech of your life. You should take the opportunity seriously. I would be glad to help you with that. If you are chosen to give a TED or TEDx talk, you will be video-recorded. In most cases, the video will be posted online. That’s where the magic can happen. You could get hundreds of thousands of views. How would that serve others? What would that do for your business? How could you leverage that video? Call me to set up a complimentary 20-minute consultation. During our call, we’ll both get a sense of whether we’re a good fit. In the meantime, read some of the testimonials below. They should help you get a sense of how I’ve helped other TED speakers.